Using a stand mixer, whisk egg yolks until it reaches a ribbon stage on a moderate speed. Meanwhile, make a syrup with water and 200 g of sugar, and cook to 118 degrees C (using a thermometer to check this). Reduce the speed of the mixer, and slowly add the syrup until it is combined. Increase the speed, add vanilla and whip until cool. 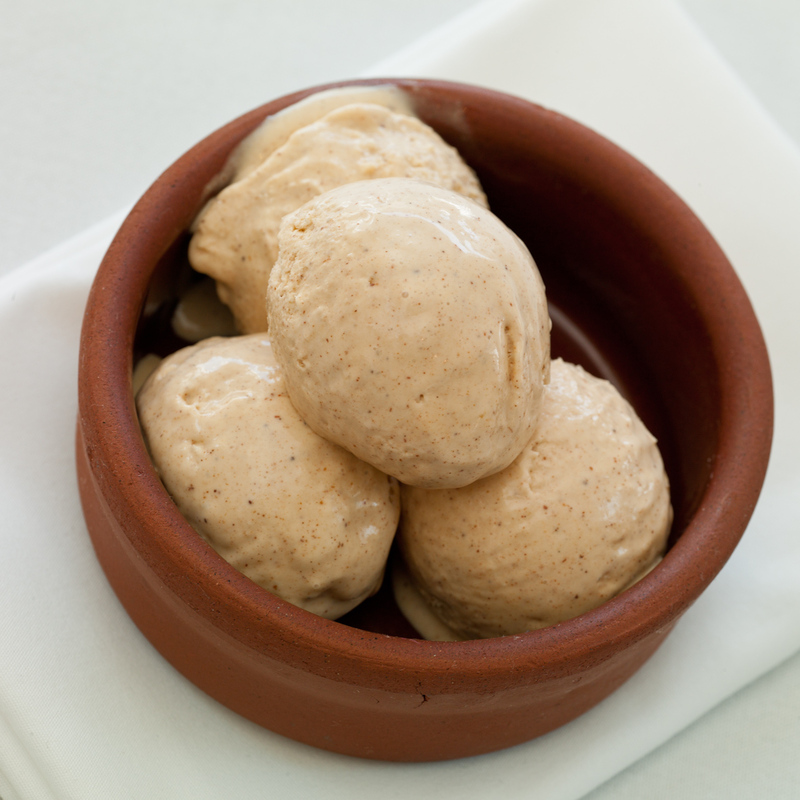 Make a glaze as flavouring for this ice cream, by combining the remaining sugar, coffee liqueur and rum in a small saucepan on a high heat by reducing to a tablespoon. Reserve. Using a mixing bowl, whip cream to a stiff peak, add cinnamon and fold through crème fraiche. Refrigerate until required. Fold egg mixture through cinnamon cream gently, add alcohol syrup and transfer to a vessel and freeze at -18 degrees C for at least 8-10 hours.